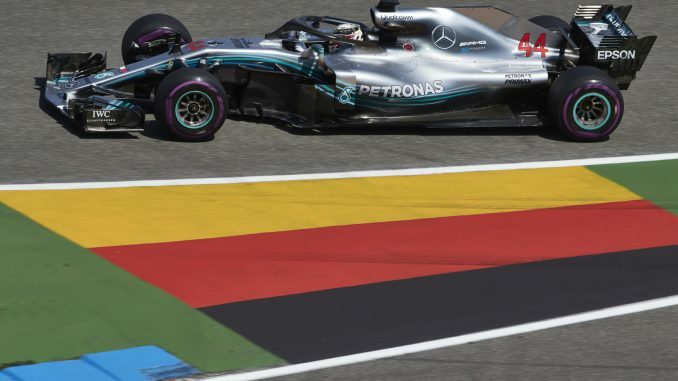 Lewis Hamilton has won the German Grand Prix after starting 14th at the Hockenheimring, finishing ahead of Valtteri Bottas and Kimi Raikkonen. Sebastian Vettel led for much of the race after starting on pole position at his home Grand Prix, but he ran wide on a damp track and crashed into a barrier, leaving him still without a win at the Hockenheimring. 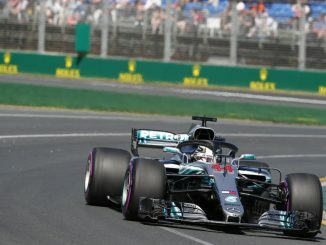 Daniel Ricciardo and Hamilton both started the race out of position but worked their way through the midfield and were running inside in the points as the pit window opened, but the Red Bull driver’s day came to a premature end when he lost power. Rain started to fall on parts of the track with around 20 laps to go, resulting in some drivers coming in for intermediate tyres, while the leaders tried to stay out on slicks. 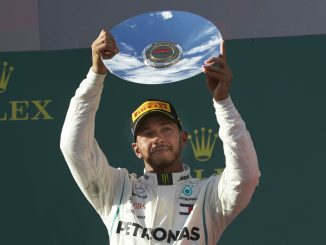 The rain bunched the field up as the drivers tried not to run off the track, allowing Bottas to edge past Raikkonen, who had been running second behind Vettel. Although it never seemed to be wet enough for the inters, Vettel pushed too hard on worn softs, sending him across the gravel and into the wall to bring out the safety car. Bottas and Raikkonen both pitted for new tyres, promoting Hamilton to the lead. 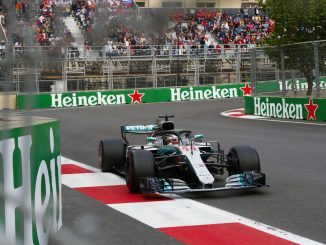 Bottas initially tried to pass his teammate after the safety car came in, but was instructed by the Mercedes pitwall to hold position, keeping the Silver Arrows in the front two positions ahead of the only remaining Ferrari. Charles Leclerc found it difficult in the damp conditions, struggling to make the inters work while spinning on slicks, leaving him at the back of the field. Romain Grosjean finished strongly, getting past both Force India drivers in the last two laps to finished sixth just behind Nico Hulkenberg, who was the highest-placed finisher outside the top three teams. Carlos Sainz finished in the top 10, but was given a 10-second time penalty for overtaking under the safety car, while both Williams cars retired during the safety car period, and Fernando Alonso pulled into the pitlane one lap early to retire his McLaren. Sainz’s penalty meant Brendon Hartley was promoted to the final points place, while Marcus Ericsson secured his third top 10 finish of the year. *Carlos Sainz crossed the line 10th but received a 10-second time penalty for overtaking under the safety car.